Packaging Details: Neutral Cartons and Pallets for free fumigation or steel tray if there is no special requirments. But is is available to provide colourful package according to your design or we make design for your brand if required..
2)Item No. : 644177, Size: 50*22*1752mm, All brands and trademarks used are for reference only. 3) The Agri belts mainly include wrapped v-belts(HM,HL,2HB,3HB etc. 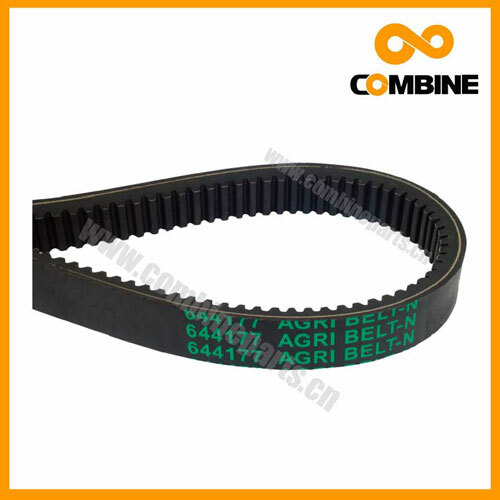 ), Raw Edge Cogged C-belts and Variable speed V-belt, which are used in different kinds of combines, from harvesting rice, wheat, potato to corn, especially in John Deere, New holland, CLAAS combine harvesters. Looking for ideal Agri Belts Replacement Parts Manufacturer & supplier ? We have a wide selection at great prices to help you get creative. All the Claas Agri Belts Parts are quality guaranteed. We are China Origin Factory of Claas OEM Agri Belts Parts. If you have any question, please feel free to contact us.